The bastions of environmental protection that have been erected over the years are once again being tested by shortsighted individuals who occupy our government and allow special interests to violate public and private preserves. During the late nineteenth century and throughout the twentieth century, far-seeing naturalists and politicians founded institutions and established government policies intended to protect the environment into the future. John Muir, the first president of the Sierra Club, was one of those visionaries. And at the highest level of government, Theodore Roosevelt’s leadership led to the establishment of the Forest Service. During Woodrow Wilson’s administration, the National Park Service came into being. 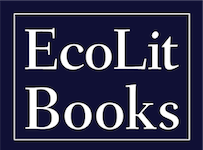 In A Sand County Almanac, published posthumously in 1949, Aldo Leopold defined the “land ethic,” which, for many generations, has provided a philosophical underpinning not only for how we should live on the land, but also how it should be preserved for the health of future generations of all plants and animals. 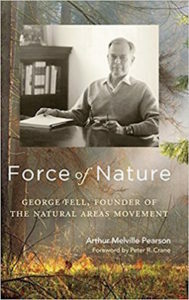 Now Arthur Melville Pearson’s biography of George Fell (1916–94) serves to introduce many readers to an environmentalist who has had immense impact on the ways that we can better protect the environment from the threats generated by a growing population and its attendant industrialization. By the 1940s, Fell had gained a deep appreciation of the environment. When young, he accompanied his father on plant collecting rambles along the Rock River and into natural areas around their home in Rockford, Illinois. Later he majored in the natural sciences in both undergraduate and graduate school coming to understand the need to preserve the environment. As a conscientious objector during WWII, he was assigned to work and live in Civilian Public Service Camps. There he fought bureaucratic injustices at the camps and also experienced firsthand the mistakes of agricultural practices that harmed the production of food and the health of the environment. Back in Illinois after the war, he married and interned at the Illinois Soil Conservation Service. While there, he began lobbying for statewide preservation of remaining natural areas “for educational and research purposes.” When he began to be known by leaders of the naturalist movement in the East, he and his wife, Barbara, moved to Washington, DC to join the Ecologists’ Union which shortly, under the leadership of Fell and Richard Pough, became The Nature Conservancy in October of 1951. Pearson’s account of Fell’s essential role in and eventual departure from The Nature Conservancy is well researched and informative. Fell served as vice president and later executive secretary of the fledgling organization. Pearson writes that Fell “conceived and put into place the conservancy’s vaunted chapter system, set the stage for its massive membership program, and inculcated an institutional commitment to conserving land systematically and strategically.” To help assure that his ideas remained on the table and to help support The Conservancy in its infancy, he and Barbara staffed the office “for little or no pay.” (Barbara kept them going by working as a lab technician in a medical office.) But Fell’s methodical approach to laying the groundwork for a strong national organization conflicted with the ideas of Pough, who had served on the board and became The Conservancy’s third president in 1954. 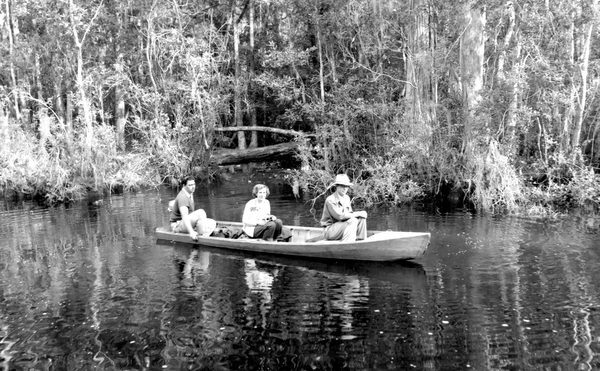 Pough and others “preferred a far more flexible, opportunistic approach to protecting land.” Nevertheless, Pearson notes, Pough “readily acknowledged that ‘were it not for George Fell, the Ecologists’ Union might never have become The Nature Conservancy.’” Pough, astute at fundraising and spreading good will, was the affable face of the infant not-for-profit organization. Fell lacked that sort of personality. He clung steadfastly to the idea that it was absolutely necessary to begin to develop an organization that could work nationwide to realize the mission of preserving and conserving the land essential to life for every species. It soon became clear that Fell could not long remain within The Conservancy as it was developing. In 1958 Fell left The Conservancy to return to Illinois where he immediately began a lengthy campaign to convince the Illinois State government bureaucracy to authorize the Illinois Natural Areas Preservation Act—which, when passed, opened the door for the establishment of the Illinois Nature Preserves Commission. These events, as Pearson notes, became a template for similar action in states across the country. Fell was also central to the establishment of the Natural Land Institute, a model for similar country-wide organizations. An important subplot to Pearson’s biography details the role Fell’s wife, Barbara, took on for herself. She was an important ally in his work to create environmental organizations, and she shared her husband’s sense of purpose and his seemingly infinite persistence in bringing into existence long-lasting and successful environmental organizations. 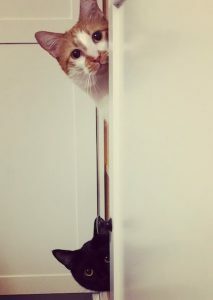 They lived frugally throughout their marriage. Even when Fell became a successful investor in stocks, their frugality continued as a way of life, simply because it fit in with their philosophy that one way to serve the environment was to limit one’s indulgence in unnecessary things. They continued to scout out natural areas in need of preservation and conservation, often sleeping in their pre-war car during overnight trips and bringing their meals so that they did not have to pay for hotels and restaurants. At a time when there were few models sufficient to the task at hand, Fell had the persistence to build new, innovative institutions. The very act of building those institutions galvanized a lot of people, offering them mechanisms within which to focus and realize their own conservation passions. The fact that Fell was not the one to nurture the institutions he built to maturity ultimately is immaterial. George Fell was a stone, a rock, a force of nature, whose legacy lives with us still: in the institutions he built, in the people he inspired, in the natural lands he loved and protected forever. This biography serves to remind us of who George Fell was and to help us to understand that we need environmental defenders who possess his qualities, a leader who is a “force of nature,” a creator of long-lasting policies and institutions. Read an interview with Arthur Melville Pearson in the Center for Humans and Nature’s September 2017 issue of Minding Nature.